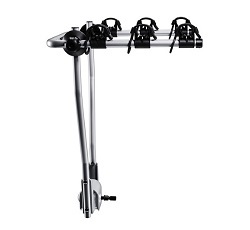 A lightweight tow bar mounted car bike rack for carrying 3 bikes. Folds flat for easy storage and handling. Tilting and Non-Tilting versions available. 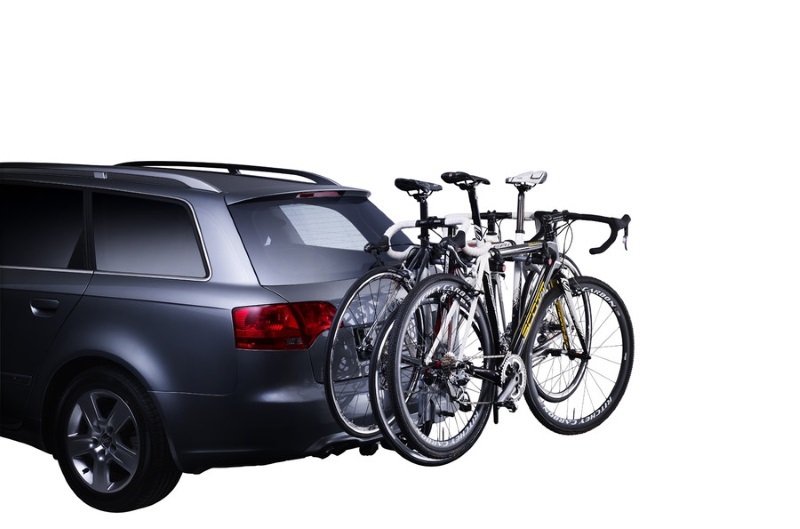 The Thule Hang On Bike racks are the easiest way to carry three bikes. 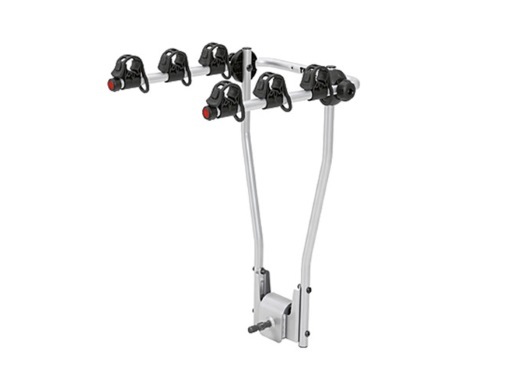 An easy-to-use bike carrier, equipped with rubber frame holders protecting the bikes. The patented Snap-On coupling sits securely on your towbar on the tow ball. 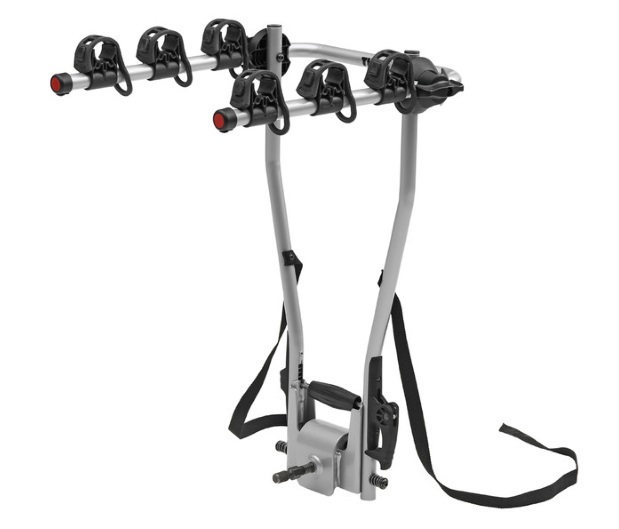 The HangOn 3 models fold flat for storage and are supplied pre-assembled with straps and reflectors for extra safety. The rack can be locked to the ball with accessory 957 'Tow Ball Lock'. The quick-release coupling needs no pre-adjustment and is very quick and easy to use. The 972 Hang On 3 has a 'tilt' function (without bikes) to facilitate access to the boot of the vehicle. 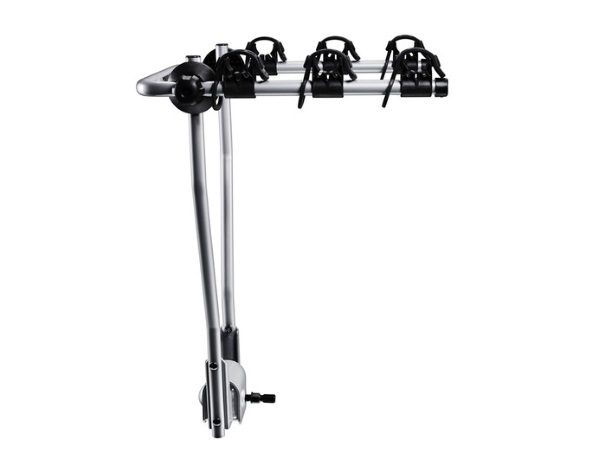 We offer a delivery service for the Thule HangOn 3 throughout the UK & Ireland to home and work addresses. 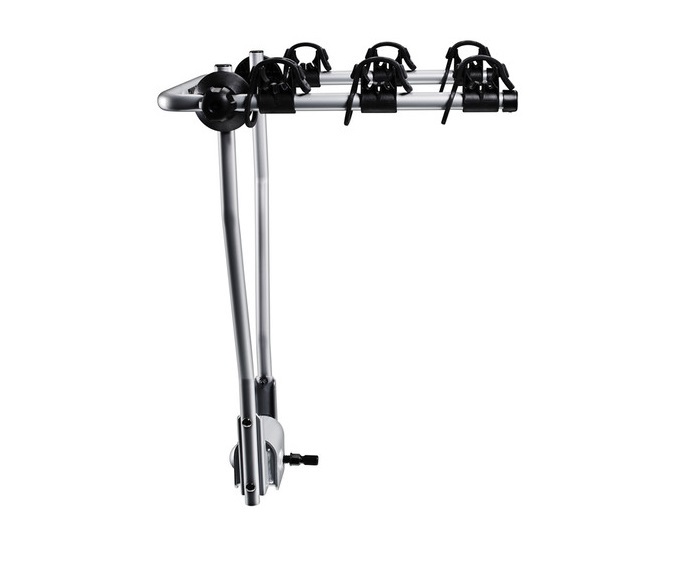 Buy a Thule HangOn 3 online from our website and collect from one of our nationwide branches.